As attorneys who focus on helping people with legal issues related to family law, divorce, and child custody, we frequently receive questions from clients about how to handle the holidays after divorce, especially when it comes to recent separation and making plans for your kids. First and foremost, most experts agree that, the more structure children continue to have after divorce, the less likely they are to experience concern and confusion. Therefore, continue with certain family traditions that are important to everyone, while also coming up with some new ones to make some new memories. This does not mean overcompensating for guilt over the divorce by overbuying for kids, but, instead, by putting your children’s needs first, and perhaps coming up with a new activity to engage in together, such as volunteering for a charity, buying gifts for families in need, taking a particular family outing or trip, cooking a special meal together, etc. That being said, one of the most successful techniques we see work with divorced parents is the ability to remain flexible. This sets the stage for your children to see, firsthand, that they, and their needs, come first. 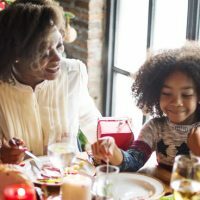 While it can be painful to be away from your children for the holidays, this means that, if they have the opportunity to go on a trip, or see a show with the other parent, and they want to go, try to be flexible and open-minded. We receive some questions each year about whether parents should try to do some activities together in order to continue some “family time.” Keep in mind that, this isn’t necessarily a pressure you should place on yourself, as continuing to operate as though nothing is different can sometimes even cause children to mistakenly believe that their parents are getting back together. Still, coordinating with your child’s other parent is very important, especially to keep everything scheduled as planned. And if you have been divorced for a while, your children clearly understand that you aren’t getting back together, and things are amicable with your ex, sharing time with both your ex and your children at the same time can be wonderful during the holidays. Our motto at HVW Law Group is to serve the family, because the family is everything. We are here to provide you with the advice, compassion, and representation that you need to get through this time in your life and move on to your future. Contact our Florida family law attorneys at the HVW Law Group today to find out more about our services.